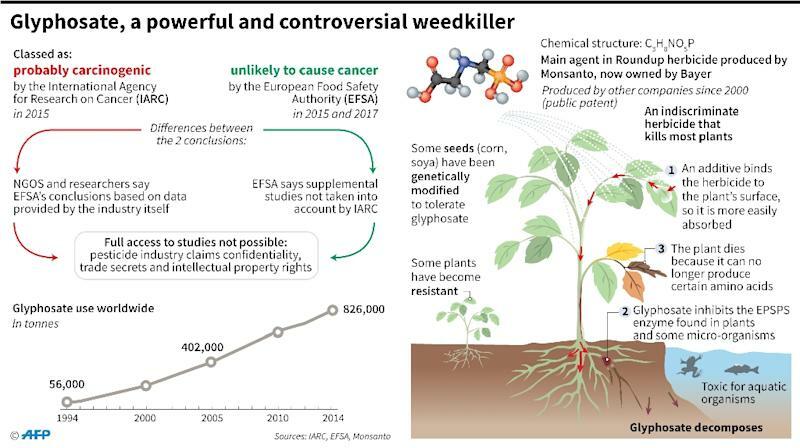 San Francisco (AFP) - The controversial weed killer Roundup was a "substantial factor" in the cancer of a US man who woke up one day with a lump in his throat and was soon diagnosed with non-Hodgkin's lymphoma, his lawyer said Monday, opening the first US federal trial of its kind. Edwin Hardeman, of Sonoma County north of San Francisco, filed a complaint against Roundup's manufacturer Monsanto in early 2016, a year after being diagnosed with the cancer. His is the first case to be heard in a US District Court but follows the groundbreaking case last year of Dewayne "Lee" Johnson. Jurors in a California State Court last August unanimously found that Monsanto acted with "malice" and that its weed killers Roundup and Ranger Pro contributed "substantially" to Johnson's terminal illness. Hardeman used Roundup extensively to treat his property from the 1980s until 2012. One of his lawyers, Aimee Wagstaff, told the court he would put the concentrate into a two-gallon (7.5-liter) pump, dilute it with water and then spray. "On Christmas Day 2014 he wakes up and feels this lump in his throat," Wagstaff said. "He goes to the doctor the next day." He was diagnosed in February 2015 with the cancer, the same type as that of Johnson. Beside the lawyer sat Hardeman, 70, his features drawn and wrinkled, with brushed chestnut hair and a sparse white beard. A screen in the courtroom showed a picture of Hardeman's throat, with the tumor visible. In another photo he is smiling with his wife Mary in front of the ocean. Another image showed a Monsanto factory. 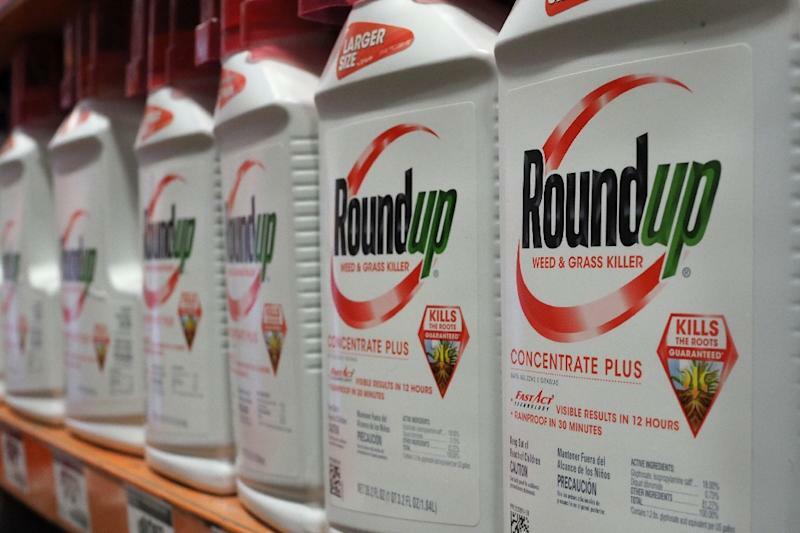 The first phase of the four-to-five week trial is to determine "whether the Roundup caused the plaintiff's cancer," District Judge Vince Chhabria said. If the jury concludes that it did, the next step will be to decide whether or not Monsanto has a liability. The plaintiff's lawyers argue that the company concealed the risks. Monsanto, which has sold Roundup worldwide for more than 40 years, contends the products are not dangerous if the conditions of use are followed, as proven by hundreds of scientific studies. The earlier complainant Johnson was awarded $78 million but Monsanto asked an appeals court to toss the verdict.